Charleston Real Estate | 813 Soaring Lane- SOLD!! ← 1736 Afton Avenue- Price Corrected to $415,000!! 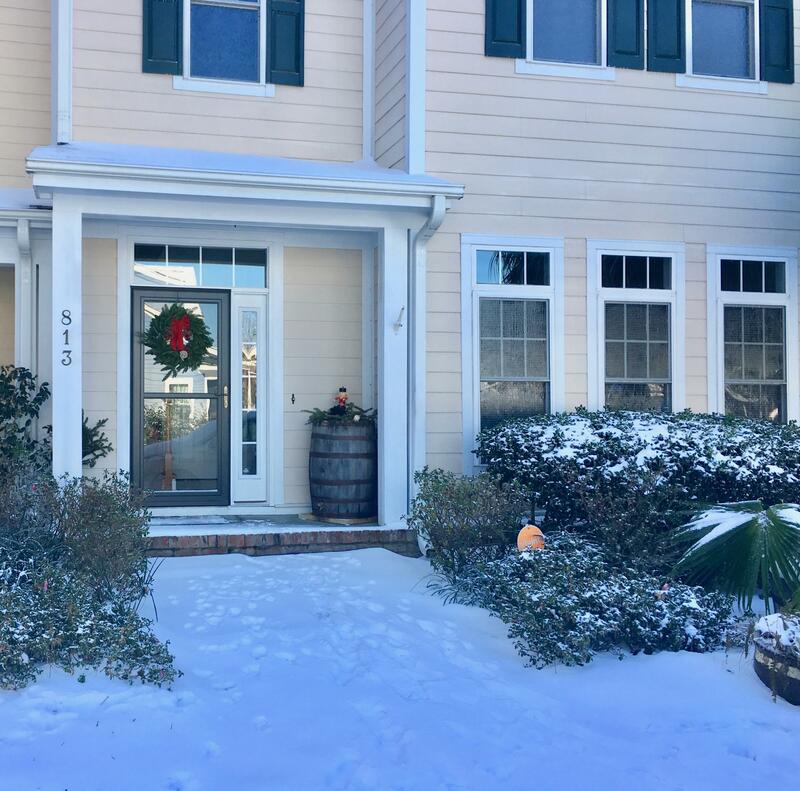 A move-in ready townhome in Eaglewood Retreat- subdivision located in the heart of James Island, yet providing all the benefits of a quiet and private neighborhood, all within a less than eight miles to downtown Charleston as well as Folly Beach. It's a 10-minute drive to the Medical University of South Carolina and College of Charleston. Live Oaks welcome you into this charming neighborhood with sidewalks, a beautiful swimming pool & an outdoor Clubhouse shared by only 15 townhomes & 45 single-family homes. The townhomes were designed to provide a quiet living environment and also boast green features such as tankless water heater. The townhouse features an open 2-story foyer, a welcoming living room, a spacious kitchen, and adjacent dining area. There is also a sitting room downstairs next to dining area, which would be perfect for an office or a TV nook. Hardwoods all through 1st floor. Upstairs houses 3 bedrooms and a laundry area. Generous storage space throughout, including walk-in closets in master bedroom and another bedroom. Enjoy the outdoors of southern living with a screened-in porch equipped with a ceiling fan, while overlooking your private backyard with your choice of plants and landscaping. School children of residents of Eaglewood Retreat attend the highly rated Stiles Point Elementary School, Fort Johnson Middle and James Island Charter High School, an internationally accredited school with an excellent rating less than a mile away. Several major retail centers are also located nearby. Prestigious soccer fields adjoin the entrance to Eaglewood retreat. James Island Recreation center is within a 5-min drive. The much appreciated James island county park and Lowcountry Senior center are within an 8-min drive. Listed by Carolina One Real Estate with the Leading Real Estate Companies Of The World network. Contact Gray Bailey or Nadya Slingerland with Carolina One for details at gbailey@carolinaone or nadya@carolinaone.com .